These words came from an American fashion designer working at the top of her game. 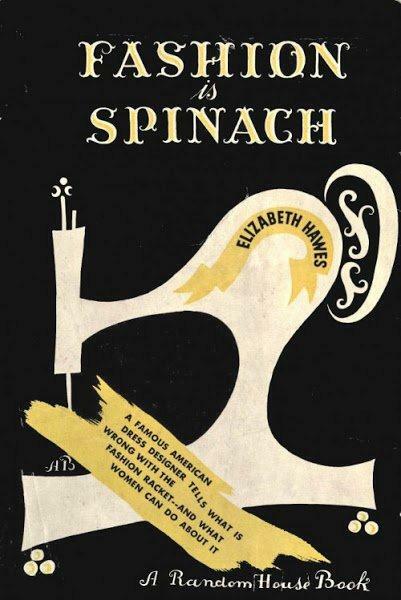 Elizabeth Hawes wrote the line in her bestselling book Fashion Is Spinach published in 1938. The full 337 pages are an ongoing smack-down of fashion, fashion designers and, mostly, the fashion industry Elisabeth Hawes blamed for creating a planet of fashion victims. “Fashion is a parasite on style”, “Fashion is that horrid little man with an evil eye, that tells you last winter’s coat may be in perfect condition, but you can’t wear it because it has a belt”, “Fashion gets up those perfectly ghastly ideas, such as accessories should match…” And so on and so on until briskly closing the book with six finite capital letters in bold print: I SAY TO HELL WITH IT. 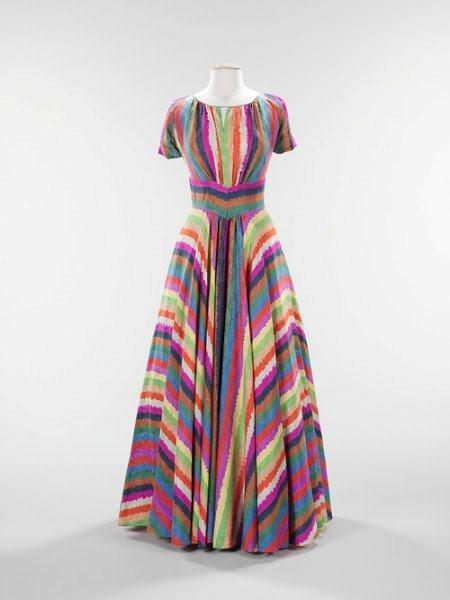 Elisabeth Hawes (1903-1971), the American clothing (nót fashion) designer, who was very outspoken and critical of the fashion industry. In addition to her work as clothing designer, sketcher, copyist and stylist, she was also a journalist, author, union organizer, fighter for gender equality and political activist. Already at an early age Elisabeth made clothes and hats for her dolls (Elisabeth’s mother taught her children various handicrafts, such as raffia basket-weaving and beadwork) and later she began sewing her own clothes. At the age of 12 she became a professional dressmaker, sewing clothes for the children of her mother’s friends and even selling some at a shop, but only for a brief period, untill she went to highschool. She was very intelligent and got mostly good grades at school. 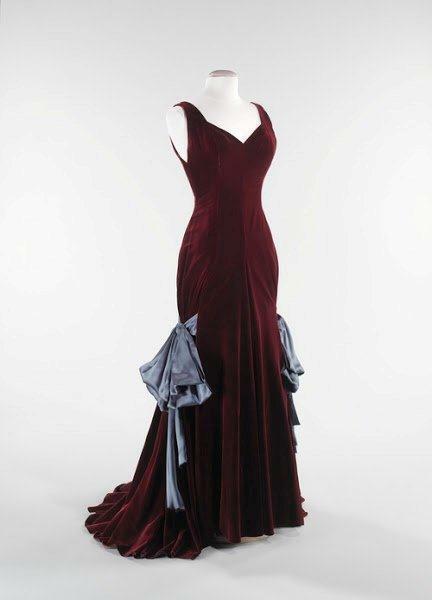 Her free time Elisabeth focused on clothing and during summer break 1924, she took an unpaid apprenticeship in Bergdorf Goodman workrooms, where she learned about how expensive clothes were made to order. She also got a peek at French imports that came into the store and Elisabeth decided she wanted to find out all about fashion in Paris. She made clothes for classmates and sold some at a dress shop just outside of campus, this way she earned a few hundred dollars for her trip to France. July 8, 1925 Elisabeth sailed of to Paris with a friend, Evelyn Johnson. 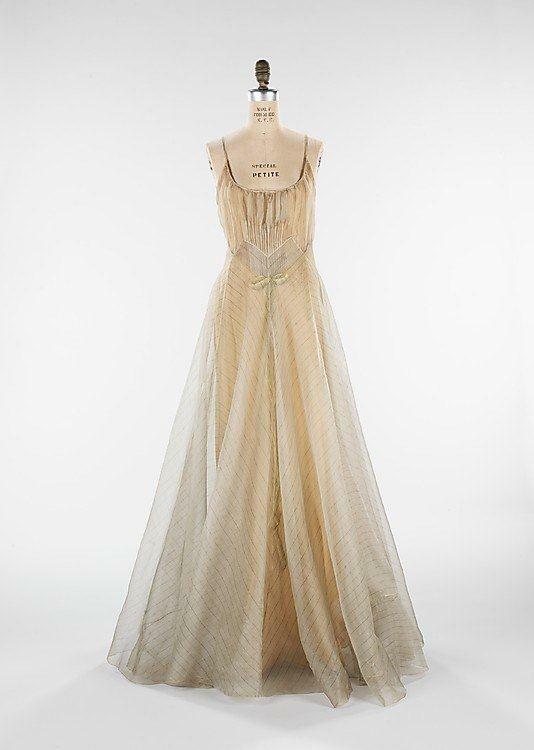 Evelyn’s mother had arranged for Elisabeth a job at her dressmaker’s on Faubourg St Honoré, where high quality illegal copies were made of haute couture dresses. 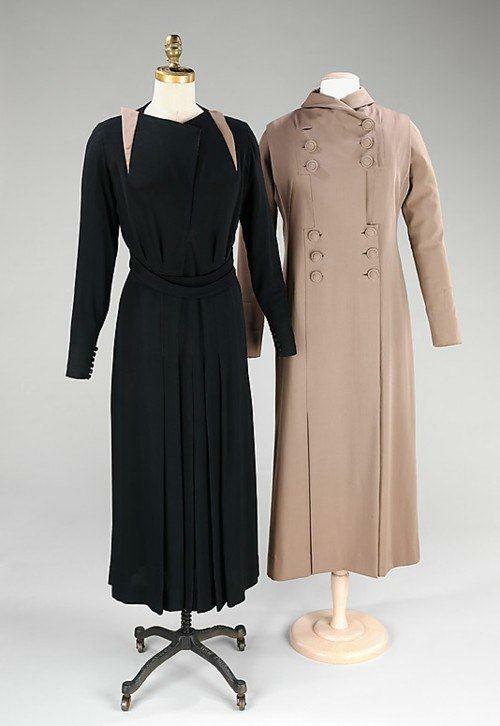 Elisabeth sold these garments to non-speaking-French Americans and she went to visit couture salons dressed as a legitimate customer, to purchase dresses that would be copied. 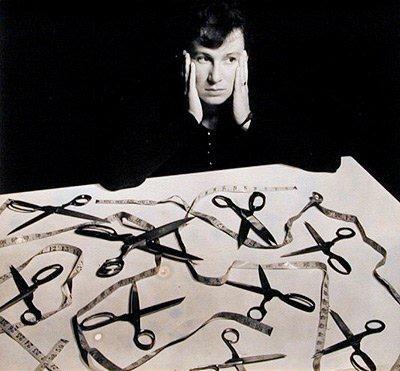 She also became a sketcher for a New York manufacturer of mass-produced clothing, for whom she draw the designs she memorized at fashion shows…., but not for long, because she got a guilty conscience. 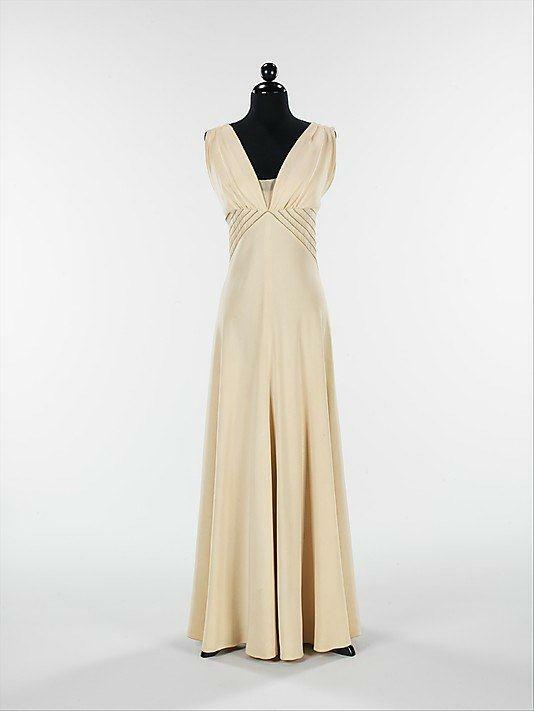 In Paris, Elisabeth started working as a journalist for the New Yorker contributing a regular column, worked as a buyer for Macy’s and as a stylist for Lord and Taylor’s offices. 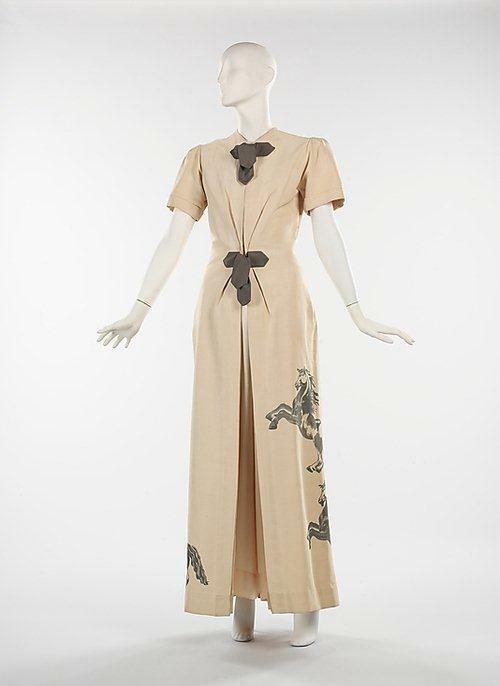 In 1928, Main Bocher,editor of French Vogue offered her a job, but Elisabeth preferred to work for Nicole Groult, the sister of Paul Poiret. 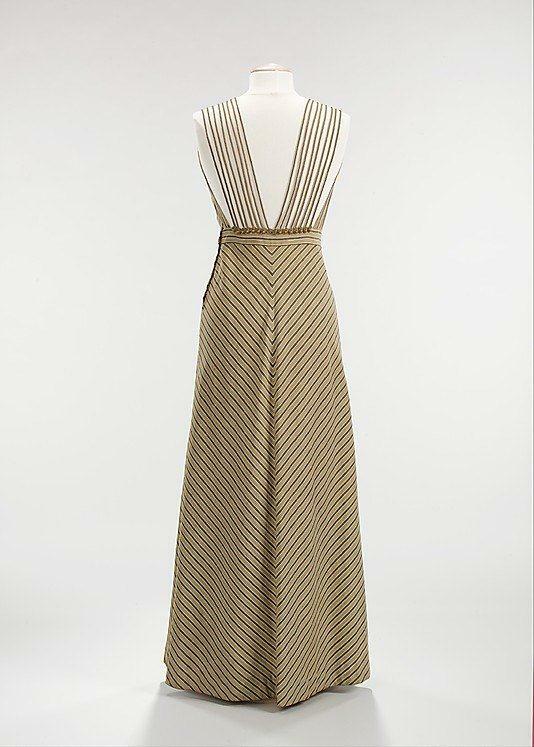 Here she developed her method of designing based on Vionnet’s technique of draping on a wooden mannequin. 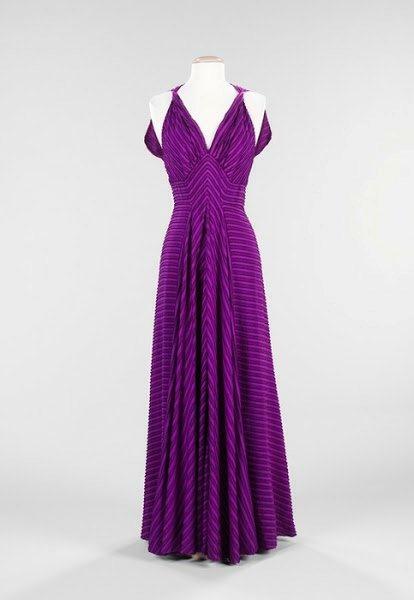 After her return to New York Elisabeth opened a shop together with Rosemary Harden, Hawes-Harden. 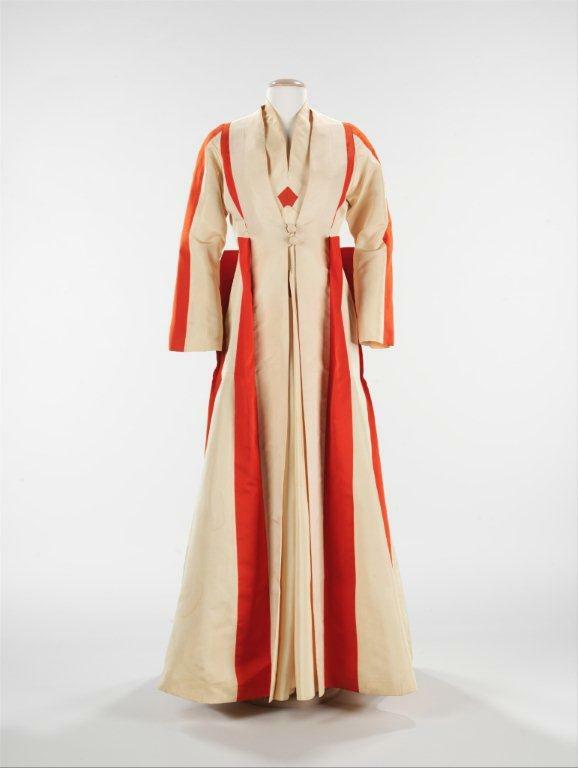 They only used good materials for their designs which were well-sewn and well-fitted. ‘Original without being eccentric‘ was said about the clothes. 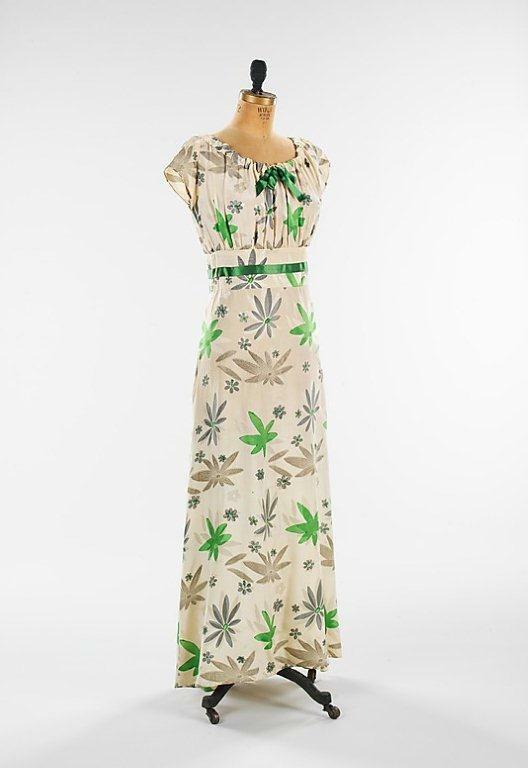 After Harden had sold her share of the company to Elisabeth, she went to Paris again in 1931 to present her collection and being the first non-French designer to show during the Paris season, she won a great deal of media attention. Elisabeth had made name for herself and got lots of publicity by giving humorous political names to her collections, like ‘The Five-Year Plan’, ‘The Yellow Peril’ and ‘Disarmament’. 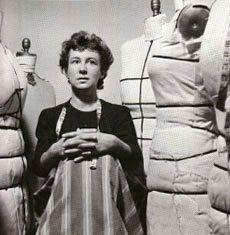 She made simple, witty, distinctive, elegant and practical garments for women of means. 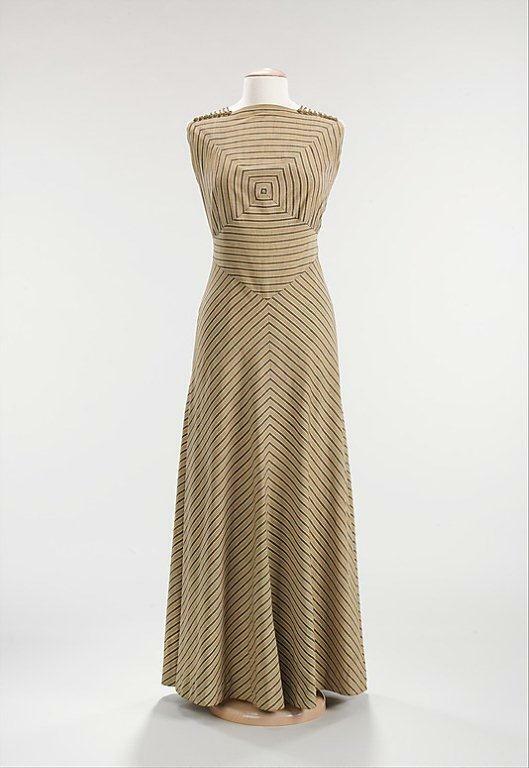 Her designs were so smart and timeless that they were as contemporary in the early 1930s as they were in the late 1940s due to her commitment to quality of materials and simplicity of line. 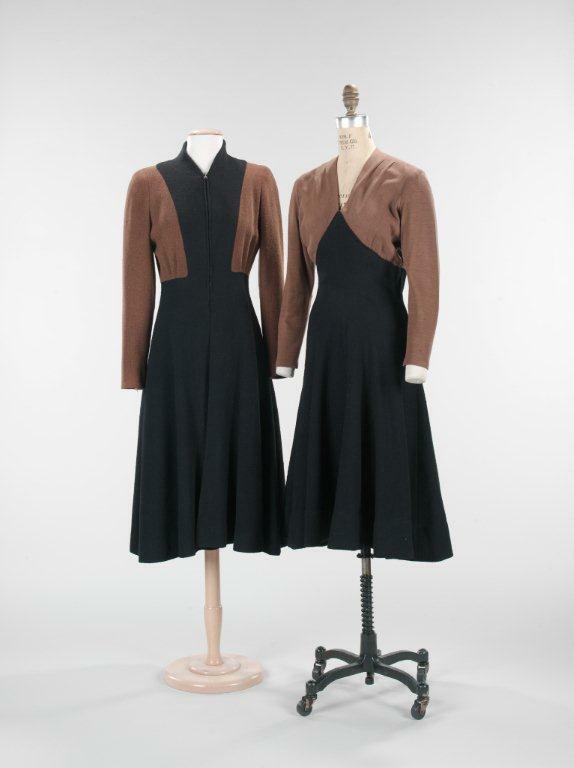 She was committed to the notion that form follows function and her design sensibilities was the desire to make clothes that were stylish, easy to move in, and by incorporating breathable fabrics, easy to wear. 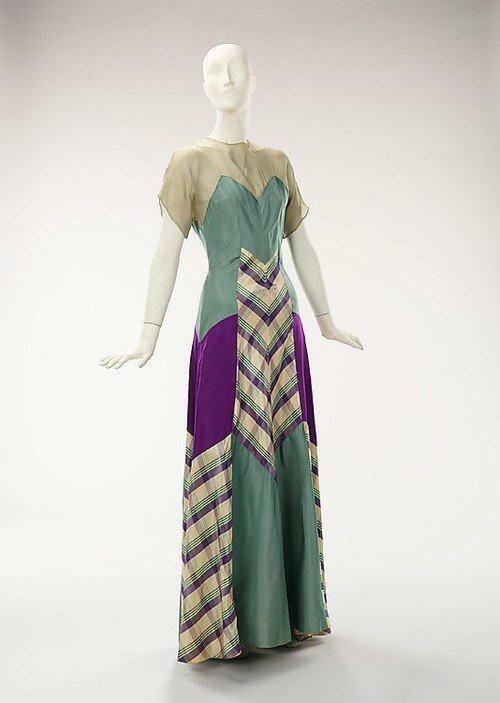 Elisabeth focused on construction and comfort, she draped fabrics on the body and creatively pieced together wearable garments that were also beautiful works of art. 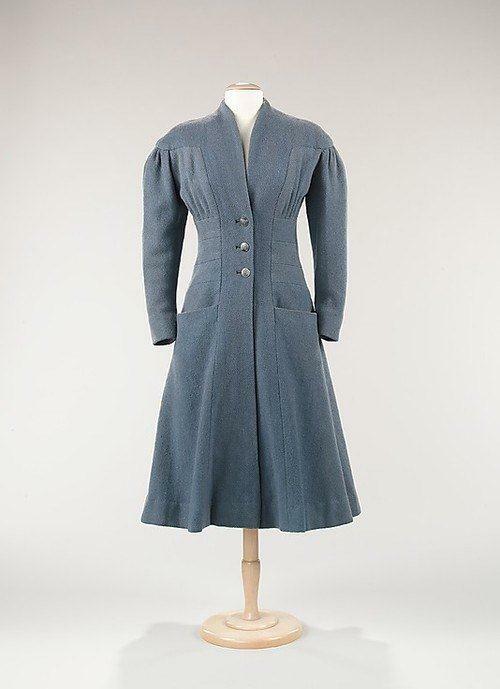 In 1933, Elisabeth designed ready-made clothes for a manufacturer. 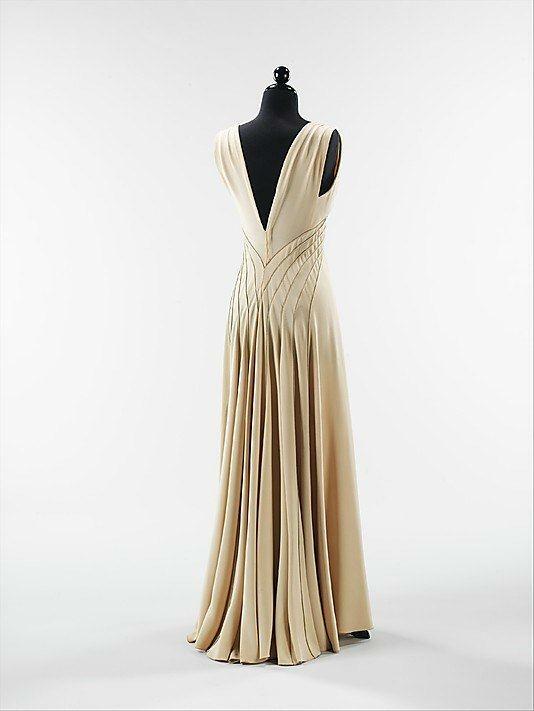 Her goal was high fashion at a reasonable price for the ready-to-wear customer, but although it was a great success, she ended the deal when she found out the designs were made from inferior materials. 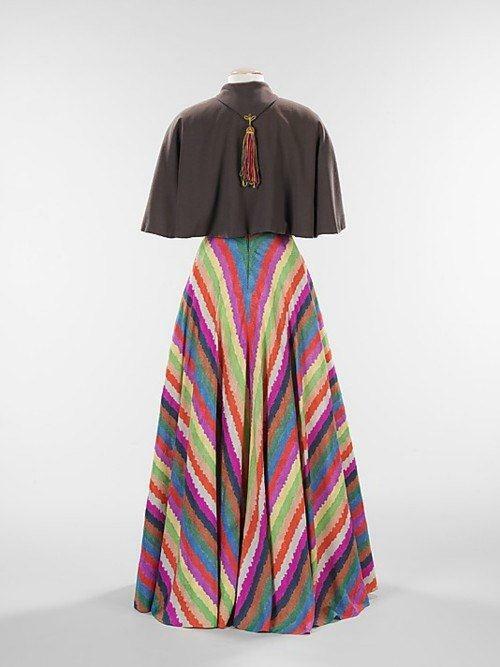 Since the Russian Revolution of 1917, there was no display of haute couture in Russia, till Elisabeth showed her designs in 1935 and two years later she presented an all male fashion show with brightly coloured designs. She encouraged women to wear trousers and felt men should feel free to wear robes. 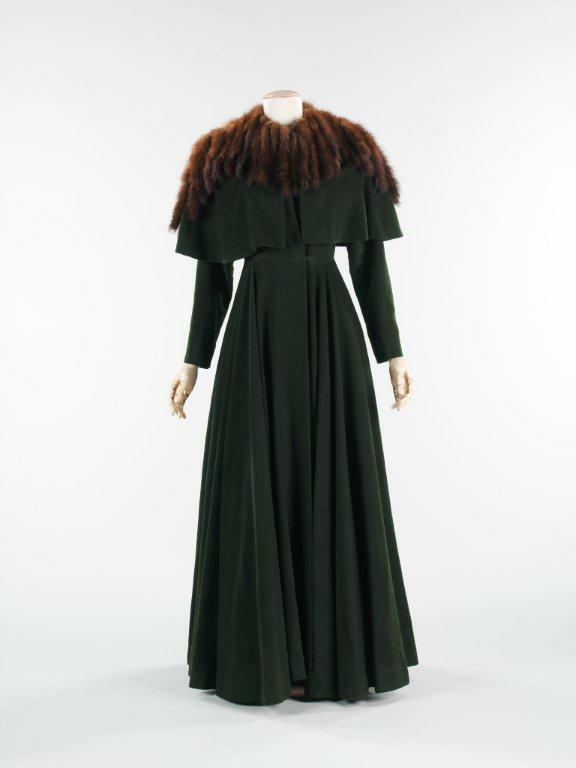 Finally Elisabeth didn’t revolutionize the fashion industry, but today her perfectly fitted, smart and practical designs are held in private and museum collections. 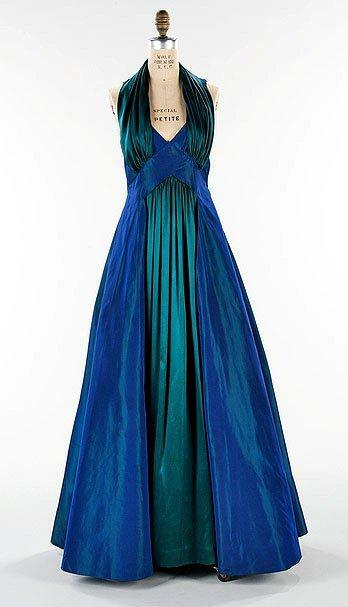 Elisabeth herself became bored with couture, and shut down her business when WW II broke out. 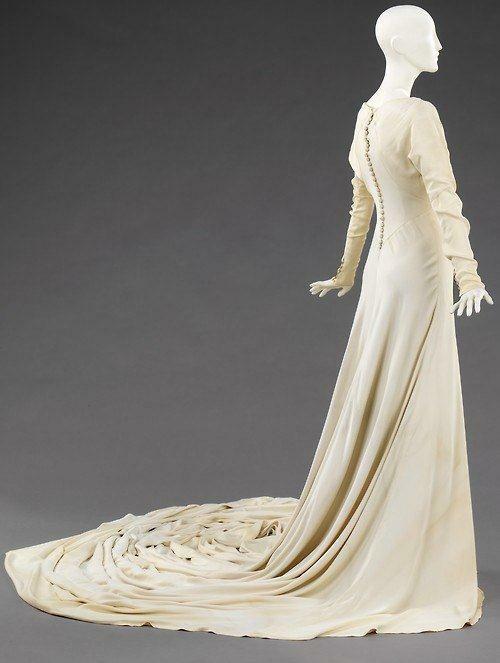 She continued to write the words women wanted to read, namely, that the fashion industry was a sham and that they should wear what fits and looks good and lasts, rather than just “a red lobster painted onto any old dress.” She even confronted men and teenagers, daring them to break out of the stiff molds created for them, and to ditch their hats and wear more color and short pants. Elisabeth Hawes, long before the Gap and J. Crew, basically invented the idea of casual Friday.